It's a dark day for the European automotive sector. Five years after major waves of restructuring affecting mainly Renault, PSA, Fiat or General Motors, Ford and Jaguar Land Rover have announced together, Thursday, January 10, their intention to delete thousands of positions. 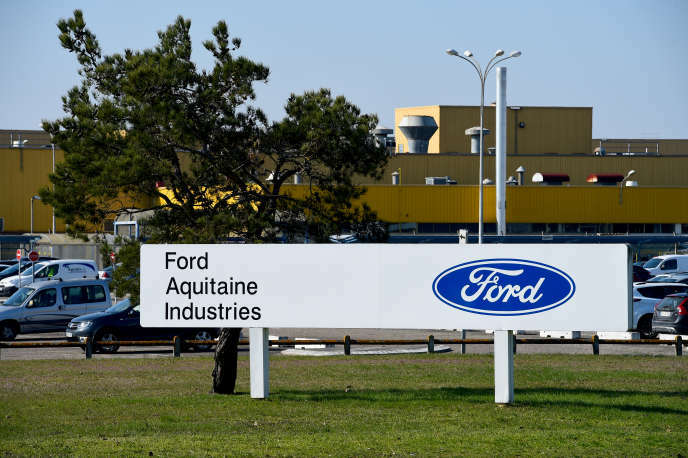 In the red in 2018 in Europe, after a year 2017 just in equilibrium, Ford has decided to resort to major means. After the closure, confirmed for August, of the Blanquefort transmission plant (Gironde) and the discontinuation of the manufacture of certain models at the German plant Saarlouis (Saarland), the group, which holds 24 production sites on the Old Continent, could further reduce its industrial location. "We can not give more details as long as we negotiate with the different trade unions concerned by these restructuringsFord's boss for Europe, Steven Armstrong, told a conference call. However, we can indicate that a significant number of jobs will be removed. " The blue oval firm employs 53,000 people. The manufacturer in Dearborn, Michigan, however, does not intend to withdraw from the European market. "We are the first brand on the commercial vehicle market, comments Mr Armstrong, and we can still do better in this area. Similarly, if we are going to downgrade our vehicle model offering, we will be selling more high-end vehicles. " Moreover, the US will also officially launch, on Tuesday, January 15, an alliance with the Volkswagen Group that could help lower its costs in Europe. These measures should allow the manufacturer to find a margin of 6% in the area, instead of 1% hardly achieved in recent years. Five years ago, both Renault and PSA, on the edge of the abyss, struggled to achieve profitability. In the first half of 2018, the two companies posted margins of more than 6% after deep restructuring. While Ford is struggling in Europe, with the slowdown in registrations, particularly in its main markets - the UK and Germany - Jaguar Land Rover (JLR), for its part, is restructuring in part to cope with its difficulties in China. The UK's largest automaker announced Thursday the cut of 4,500 jobs (just over 10% of its workforce), mostly in the UK, as part of a 2.5 billion pound savings plan (2.8 billion euros). The subsidiary of Tata Motors wishes to leave mainly managers. It lost 354 million pounds between April and September 2018, and has already cut a thousand jobs in Britain. "We are taking aggressive action to help achieve long-term growth in the face of the multiple geopolitical and regulatory disruptions and technological challenges facing the automotive sector," said Ralf Speth, the German boss of JLR. Still, these announcements mark a stop for the British group, which in recent years has opened new factories in China and Slovakia. Above all, Mr Speth believes that a bad Brexit deal could destroy tens of thousands of jobs in the British car industry. At Ford, we are preparing for this eventuality, but that did not influence the manufacturer's reorganization plan, Armstrong insists.